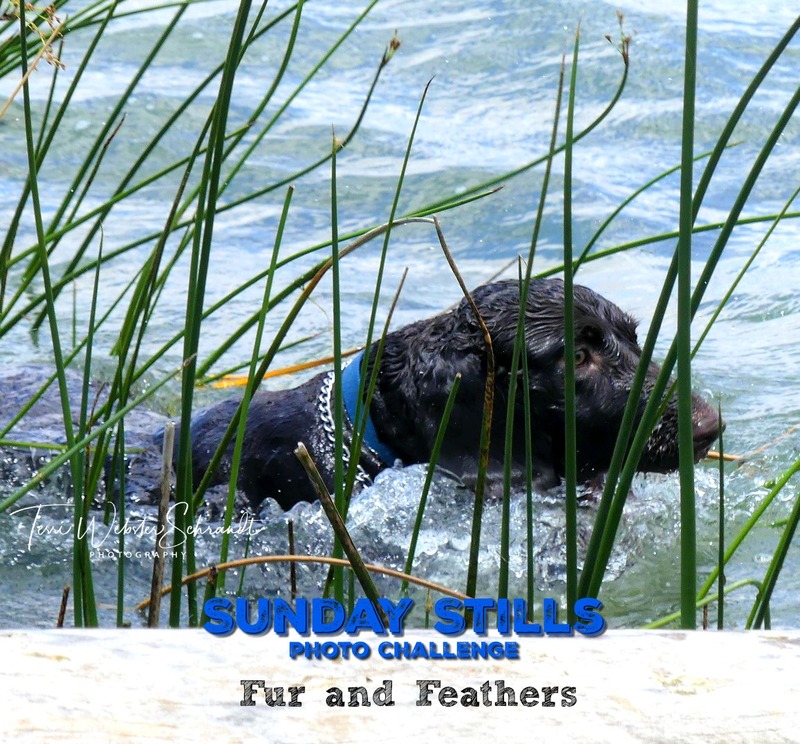 Today’s Sunday Stills theme is “fur and feathers” but feel free to add photos of your scaled and slithering friends as well. Did you know today is National Animal Rights Day? Many organizations dedicate themselves to the betterment and loving treatment of ALL animals. With Biblical support, Kurtz suggests that all animals have eternal spirits. As a Christian myself, I believe this to be true, which gives me great comfort knowing that my past, present and future dogs, cats, birds and even fish have a place in God’s eternity. On some spiritual level, I shall see them all again. Almost every day, I read online from friends and family who grieve a pet who has died. I often recommend this book and have been surprised at the positive responses from those who have read it. Regardless of your own beliefs in an eternal afterlife, or not, we must treat all creatures on Planet Earth with care and respect. Of course, I will swat a mosquito or kill a tick that crawls on my skin. Believe it or not, even pesky bugs have a place on Earth. I told him that all critters and animals are protected in a national park and he could go to jail for killing bugs and animals (yes, a teeny white lie, but bear with me here). I then asked him, “What if you were just walking along one day and a giant walked up and stepped on you?” His eyes widened with the realization that his eight-year-old imagination allowed. A little leisure education hurts no one. 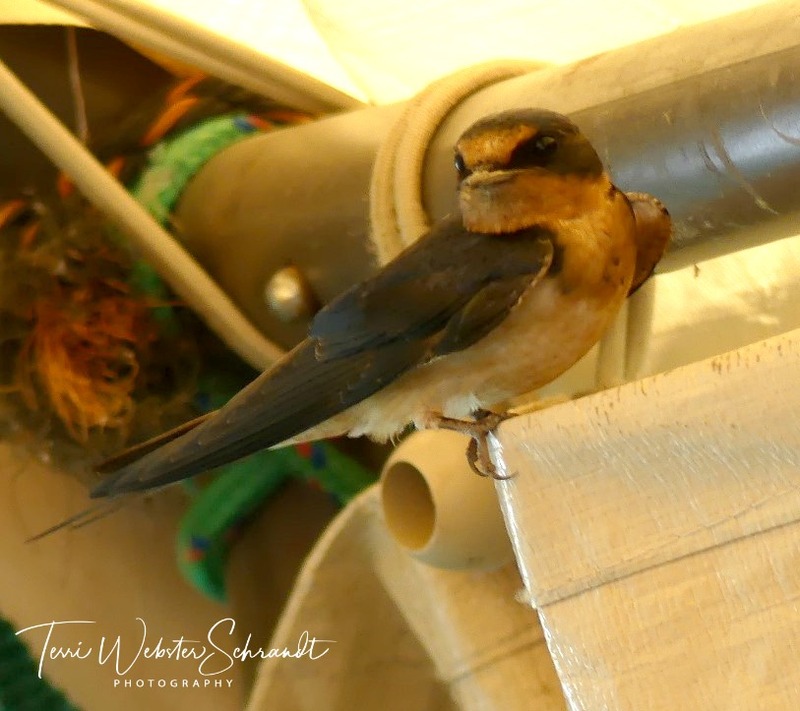 This swallow and her mate decided to build their nest in our neighbor’s windsurf sail shed. One of the other fellows who keeps his sails in the shed noticed the partially built nest and knocked it down with a stick, complaining about bird droppings (my word, not his). Luckily it was still under construction, so no eggs or birds were harmed. It was an abrupt decision, one that I both disagreed with and supported. On one hand, these swallows build their nests here on Sherman Island in the delta and there are plenty of safe areas in which to build them. On the other, these skittish birds would not have succeeded trying to hatch eggs in a noisy area with us walking in and out of the shed. In the long run, I guess there is no right way to move a bird nest. They can quickly rebuild one in a safer location. But these incidents beg the question, how much have humans encroached on natural habitats in the name of progress, lifestyle and leisure? To what extent do we continue to banish native animals from their own environments due to urbanization? It is a little sad to think we need organizations to protect Earth’s creatures from harm and violence, mistreatment and misuse. So, let’s support our fellow creatures today by posting a favorite photo of yours for Sunday Stills! Please help me promote Sunday Stills so that we can have more talented bloggers participate in this photo challenge, now that the long-time WordPress Weekly Photo Challenge posted its final theme this week. 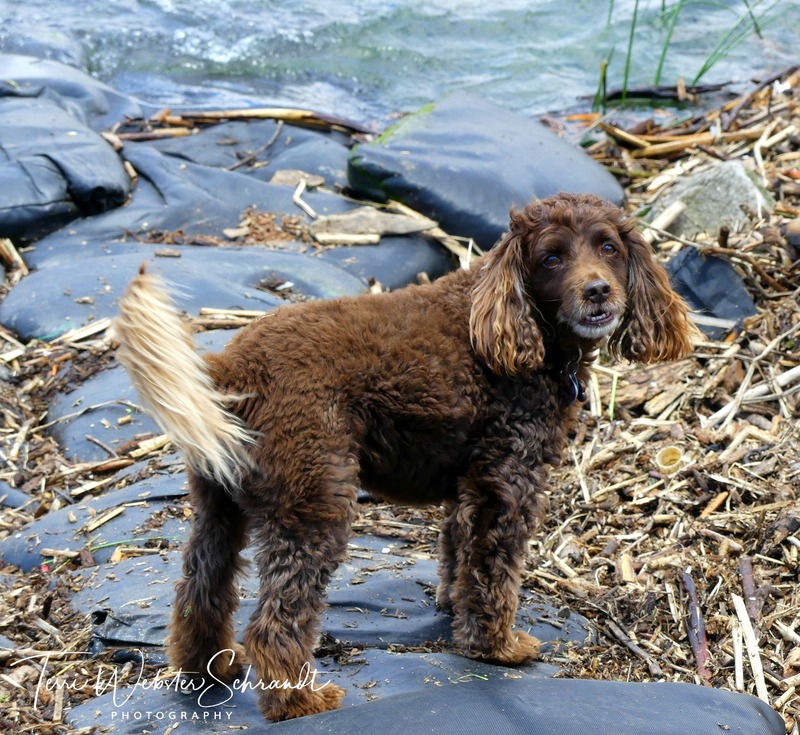 A hearty shout-out to May Sunday Stills Photo Challenge participants! thanks, Liesbet, it’s an important message I don’t mind telling! Here is my entry for this week. Made it just in time. Having only just arrived in Madagascar, I was completely unaware that The Daily Post was ceasing publication of prompts/hosting of challenges. Your taking on the facilitation of Sunday Stills is very timely and offers a great alternative for those looking for bloggining ideas, seeking to build blogging a community, and/or simply share their love of photography. Adorable pictures as always framed nicely by your storytelling. I bet you were stunned by this news, as was everyone! I hope you can grace SS with your fabulous photography when you can. I post the weekly theme in advance on my Sunday Stills page (under Photography in the menu). Thank you so much for sharing, Tina. I love the idea of seeing our beloved dogs/pets in the afterlife, Terri. That book sounds intriguing! God loves all creatures great and small. As I was swatting a mosquito last night I wished they would all vanish, but realized that would likely impact the bat population. I don’t want either of these flying creatures in my home or using me as a landing strip, but they each have their place in nature. (I don’t feel bad when I kill a mosquito, though, knowing there are millions more!) Your pups are adorable. I knew this would speak to you Molly. You would enjoy the book, it has made a difference in my own life and gives me great comfort. I’m sure when the time is right, we’ll all know why ticks, black widows and mosquitoes really exist! This is such a beautifully written post, Terri. Our pets without a doubt take the most important spot for us, but the whole ecosystem is so important and so perfect. My little dog Coco tore the ligaments in his back leg last week. It’s so difficult to see an animal injured but they adapt. You need to be around animals to see how amazing they really are. I’m so sorry about Coco! Poor baby. Hope all is well with you! Great photo. But, if every creature has its proper place on this earth, what on earth is the use of horse flies …. or ticks ….. 😉 ? Pingback: All Time Favs – Looking Up | What's (in) the Picture? Hi Terri, we don’t have pets of our own but my daughter has a gorgeous miniature schnauzer who thinks she is their eldest child. My daughter and her husband love animals and nature and are teaching my grandson Ethan the importance and wonder of nature and all animals. I’m sure they will also teach his new little brother as he grows up. It’s nice to be a pet nana, Sue! I’m glad to hear so many folks are still teaching children to love nature and the outdoors and to not be afraid of either! Great hearing from you! Yes I love it when Ethan shows me the ‘golden orb’ spider outside his bedroom window along with the Rainbow Lorrikeets which he calls Rainbow Lollikeets. He knows all the names of the birds it is wonderful to see. I especially love this week’s Sunday Stills theme. I also loved seeing more photos of your gorgeous pups! Aww, thanks, Donna! 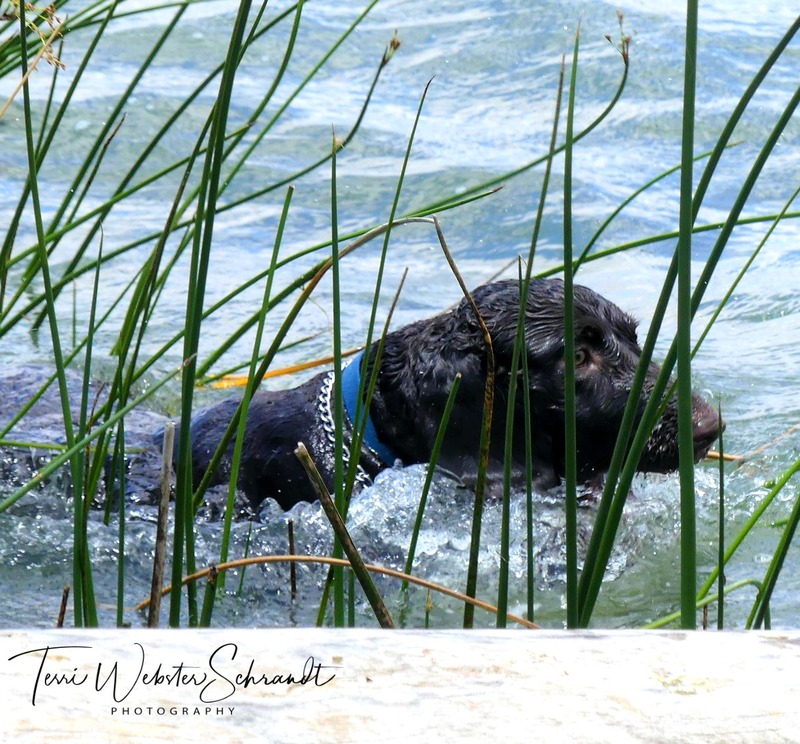 Looks like you have had some fun dog days yourself! Your photos are lovely as usual 🙂 The dogs looks very happy. Thank you for educating me, I did not know that it is National Animal Rights Day. Urbanization definitely cause many animals distress, when their habitat no longer are a safe, serene, place to call home. It’s definitely true when it comes to wild mustangs on the range. I’ve been observing a few herds in our neighbor state Nevada, for about 6 years now. Their habitat shrinks by the year. It gets more and more difficult to get to their water sources, as more houses, and fences are being built. I actually published a book about it a few years back. I withdraw it from Amazon, since I felt that some of the facts become outdated. If you want to see it, you can view it here http://www.blurb.com/b/4598887-nevada-mustangs. Thank you, Maria! Someone reached out to me a few months ago about animal-related national days and thought it worked well with the theme. So sad to read about the wild mustangs. The whole world should be ashamed. I will check out your link! Humans have encroached so much more than a smashed nest or squashed bug. Far too many animals are now on the endangered species lists and many will not survive. My dad used to teach us environmental awareness and animal sanctity decades before it was popular, but I will admit I have no love for bugs in my house or rats in the garage. (And I get rid of them.) Still, I think animal and environmental awareness begins in very little and personal insights as you did with your nephew. The photo of the swallow is heart rending but at least there weren’t yet eggs. Agreed, Shari! I could have written a lengthy PSA but chose to use short examples. My parents, too, were avid campers and outdoors folks who loved animals and respected them. My brothers and I learned very young to revere and respect all creatures. Yes, I will actually gently pick up a spider stuck in the tub and let it go outside (I draw the line at black widows). I’ve set a few crane flies loose, too (look like giant mosquitos). A love of nature and leisure are so important in our lives. Oh, no worries. I would never use anyone’s emails for anything. The pingback shows in my comments, and others can see your link from there, which may help get more visitors to your blog! Thank you Terri, that is really kind of you. It is Inlinkz I have the issue with. They claim to be GDPR compliant and yet they state they collect our data to: ‘Send promotional communications, such as providing you with information about services, features, offers, promotions; and providing other news or information about us. You have the ability to opt out of receiving any of these communications’. GDPR was created to make companies such as theirs change their ways in how they treat us. If we want to receive their promotional materials we should be given the opportunity to ‘opt in’. They are still using their old ways of taking it as a given that we give permission to be contacted in this way and that if we do not want to get bombarded by their emails we need to ‘opt out’. You, as a blogger hosting a challenge using Linkinz can also be held accountable using a third party who are not GDPR compliant. Thank you for the heads up. I’ve been assured by Inlinkz that they are compliant. Hopefully everyone will play nice. If I find out differently, I would consider cancelling the link-up. Thousands of bloggers use it though, but it is certainly something to be aware of. You are never required to link-up. Next month, I will do a monthly shout out with links to blogs (on my post) to share those who participated. I did share you post today. Love this post, Terri! I think you’d be forgiven for that little white lie you told your nephew. It’s important to instill a love and reverence for nature early on. Re your story about the swallow’s nest: we had a dove who kept trying to make its nest on top of our front door light. Finally we had to put something on top of the light fixture to stop them… it would have been a really bad place to raise a new family! Aero and Brodie are so darn cute! Thanks, Janis! I hope my nephew did learn something. My dad (his grandpa) is an avid outdoors man and he would have corrected him too! Birds can be a little silly. Heading over to check out your post! Heh heh, your hubby, LOL! I could live without ants, roaches and snails! I agree absolutely with Terri. I will be posting this blog later today. Both a furbabies and birds. Let think about adding plants to think before destroy them as we perceive as no longer want them there .